Lola Offline | Almost Amazing Grace. Hello, and welcome to my stop on the 'Lola Offline' blog tour! This hot new YA tells the story of a teen girl who went viral – and not in a good way. Delilah – oops, I mean Lola – starts her new life in Paris and it's all going smoothly, with the usual amount of awkward moments, alcohol mishaps and crushes a teen experiences. She even gets a perfect kiss...But how long can she keep it up? What if her viral past catches up with her? 1. Lower your standards. Like, lower them right down. This is honestly the most important piece of advice I can give. The main reason most people get discouraged with their writing is because their standards are unrealistic; they’re comparing their first attempts to the finished drafts of established authors. Here’s the secret: your first draft meant to be bad. The first draft of my first book was a hot mess. It was full of plot holes, unconvincing characters and clichés. The main thing is to finish it. That’s a big achievement in itself – and then you can raise your standards for the rewrite! 2. Write like you’re anonymous. If you are constantly worrying about being exposed by your work, it will really cramp your style. So don’t hold back – be real, but think up a clever pseudonym just in case. 3. On the other hand: pay attention to likeability. Think about your MC (main character) in particular and how they treat other people. Readers notice this and it’s one of their top reasons for disliking books. That’s not to say that you have to write completely ‘good’ main characters but it’s a lot harder to write a sympathetic anti-hero. 4. Write a blurb for your story – like the ones you find on the back of books. This will help you identify the stakes. What do your characters have to lose? What do they hope to gain? If you had to describe the story in one line, what would that be? In other words: what is the point of your story? Doing this really helps you focus on what you need to show rather than going off on tangents. 5. Remember it’s often more effective to show characters concealing emotion than displaying it. This gives us, as the reader, the inside track, and we love that. 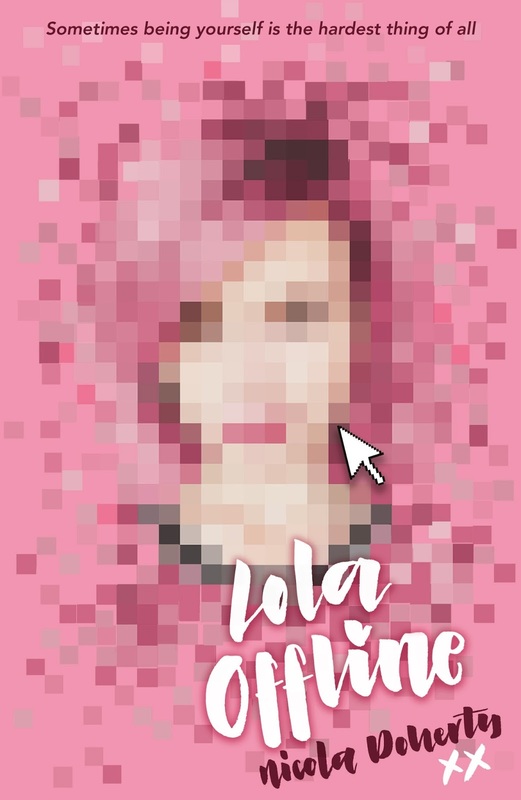 'Lola Offline' hits the shelves in shops on August10th.